Curious about bread machines? Or maybe you have one you don’t use, but would like to be inspired? Check out the list of tutorial-type posts listed below where I share lots of tips and tricks. Then, pick out a recipe and give it a shot. I am in love with my bread machine. If you have one but don’t use it, I hope I can inspire you to dust it off and give it another try. Bread machines are good, but they don’t have brains. I only use a bread machine for what it does best: mixing and kneading the dough. After the first rise (the end of the dough cycle), I pull the dough out of the machine, shape it, let it rise, and bake it in my conventional oven. This gives me more control over the final product and flexibility with the shape. It’s the best of both worlds. 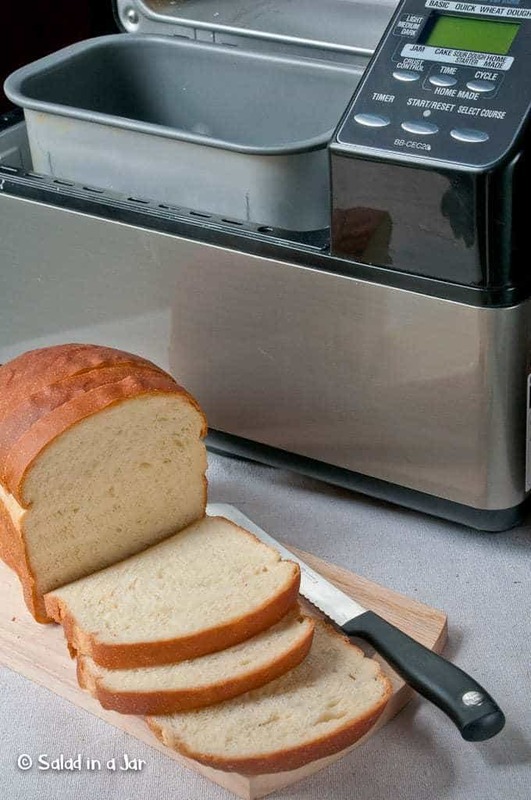 Do you want to know more about using a bread machine? Are you looking for a bread machine recipe?